In the 19th century, builders constructed more than 700 cobblestone farmhouses, churches and barns in upstate New York. The fist-sized rocks were gathered near Lake Ontario, where glacial flows and lake water smoothed the rocks into rounded shapes. Cobblestone construction developed in the late Medieval era and remained popular into the 19th century. In England, a type of cobblestone paving called a macadam road is still used today. If you wander around Europe, you will find a number of cobblestone roadways that are preserved for their beauty and historic value. Early cobblestones were gathered from riverbeds, lakes and fields and "cobbled" together by chiseling them into desired shapes and binding them together with mortar. 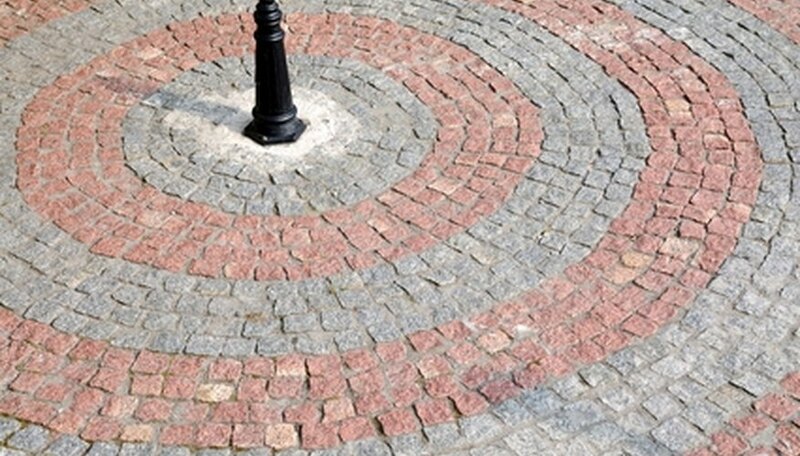 Today's cobblestone pavers are cut from granite, sandstone and limestone. You can buy cobblestone in many different sizes and colors. Some dealers specialize in recycled cobblestones gathered from old buildings and roads. Cobblestones add functionality and charm to driveways, patios, walls and garden pathways. The colors and textures of cobblestone pavers allow you to combine them creatively to add durable curb appeal to your landscaping. Pavers may also help you prevent erosion in some of those problem areas around your house.